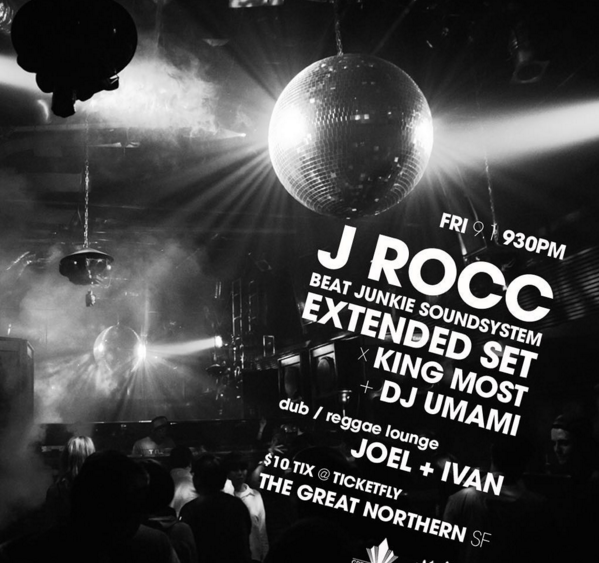 Friday (September 1st), the Funky President J.Rocc will be doing a special extended set at The Great Northern in San Francisco. He will be also joined by Bay Area staples, DJs Kingmost & Dj Umami. $10 Tix at Ticketfly. If you’re in the Bay Area, this is the spot to start off your Labor Day weekend!